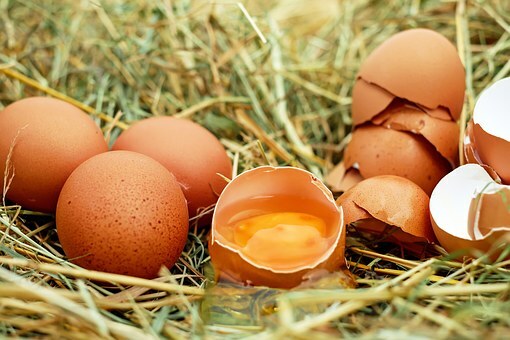 I wrote this article to answer these questions folks ask me: "Are raw eggs safe to eat? When should you be concerned about eating raw eggs? "How can I eat raw eggs as safely as possible?" And, "Are raw eggs a good protein source for smoothies?" Plus: "What are the benefits of eating raw eggs?" So, Mr. V. and I are in the middle of a "Get Healthy and Get in Shape" campaign. Something's gotta give with our general weight, muscle tone, and health. Even though we get lots of exercise working on the homestead, it seems that at our ages, we need a little more metabolism boosting. Middle-age downright stinks sometimes. It's just more difficult to lose weight and keep it off. One of the things we decided we are going to do is drink a green smoothie every day. In researching smoothies, I have discovered there are good ones and bad ones out there. I mean--if you are substituting a smoothie for a meal, then it sure better have more than 3 grams of protein. My friends, I need my protein! And that raised the question, "Where can you get your protein for your smoothie?" Well, obviously, there are protein powders, which I am not completely opposed to. But we also decided we are laying off any processed foods of any kind for awhile too. That means protein powders are out. Mr. V. said to me, "Well, why not just add a raw egg to our smoothies?" "EW!" was my response. I love me my eggs---cooked solid. Besides: The vision that came into my mind was Mr. V. channeling Rocky Balboa, slamming raw eggs into his glass and guzzling it down before his workout. That totally made me laugh! The next vision that came to mind was potential bacterial poisoning and you know---the physical consequences (NOT pleasant). Generally I do not worry about egg safety because we raise our own chickens for the eggs, and I truly believe they are very clean: FAR cleaner than grocery store eggs in fact. You can find out more about safe egg handling here. Then Mr. V. pointed out that there are many condiments and foods made with raw eggs. I am not a gourmand over here, and I eat pretty basically. Except for the occasional homemade mayonnaise (which still gives me the heeby jeebies because of the raw eggs), I just don't cook using them. However, I do know that in other countries it's very common to eat foods made with raw eggs, and many of these countries do not refrigerate or pasteurize their eggs either. Foods like Hollandaise sauce, Bearnaise sauce, Aioli, Eggnogs, and even traditional cheesecakes are made with raw eggs! 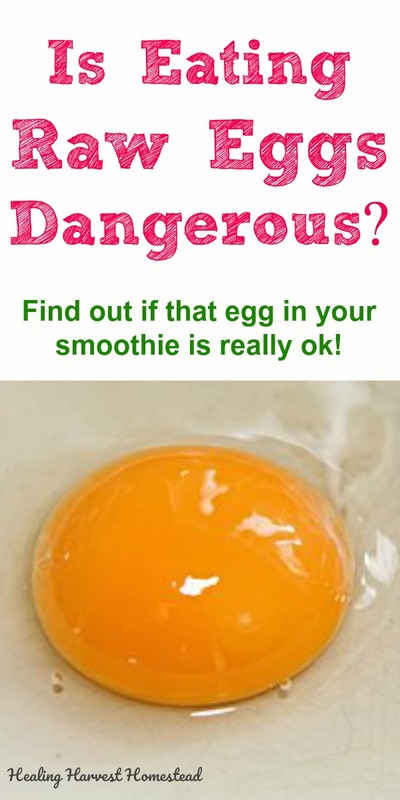 I decided to do some research on the safety of raw eggs anyway, so that I could feel good about adding one or two to his daily smoothie, and maybe even be brave enough to try it myself! FTC Disclosure: There are affiliate links scattered throughout this article. If you click through and make any kind of purchase, I may receive a small commission at no extra cost to you. Full Disclosure Here. Like many difficult questions, the answer to the question, "Is it safe to eat raw eggs?" is both Yes. And No. Luckily, it's ultimately a personal decision, but you should know some facts before you decide whether or not eating raw eggs is right for you. First of all, you need to know a bit about a chicken's body and how it works. 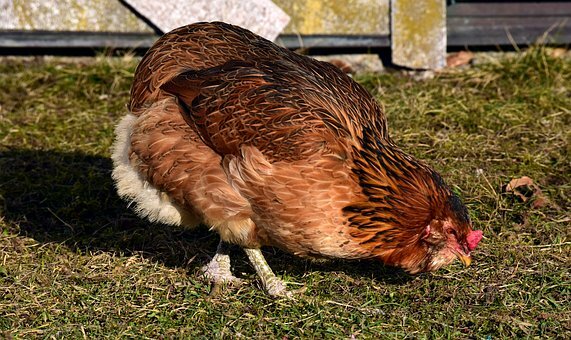 Amazingly, hens poop, pee, and lay their eggs from the same place, a moist area in her rear called the vent. But don't worry! God knew what He was doing, my friends! Chickens' bodies are well-prepared to keep those eggs safe from bacteria so the chicks will be healthy. You see, as the egg is being laid, it is coated with a clear, quick drying liquid called the bloom. It's also called the cuticle in some places. You can think of this substance as a kind of Clear Coat that protects the egg from outside invaders, like the bacteria in poop for example. However, factory farmed eggs produced commercially in North America are required to be washed with a bleach solution. This removes the bloom, leaving the pores of the egg open to bacteria and also needing to be refrigerated to extend the life of the egg. Here's how a pastured healthy chicken is supposed to look. NOT caged in a windowless room in a cage with no real floor, breathing poop dust. Chickens' natural behavior is to free range. Backyard chickens are healthier and treated way better (in general) than the poor chickens destined to live a short, stressful life in a factory farm. Stressed out chickens are more likely to be unhealthy, and that affects their eggs. There is a much higher risk of salmonella contamination in those eggs you purchase from the market than there is in your neighbor's backyard chicken flock. Even in commercial eggs, the statistics say that only 1 in 30,000 eggs is contaminated with salmonella by the time it reaches the market. But still: I personally do not trust the food industry. I do not like or agree with how chickens are treated for mass egg production. Chickens in many factory farms live in tiny square foot spaces. They breathe in the dust from their feces. They are in cages which allow the eggs to drop through---and therefore they are not allowed to engage in normal chicken behaviors. Often their beaks are cut to reduce the pecking of each other due to the stress they endure for the year or so of their productive "laying" life. They never see the sunlight or experience grass or real earth. My friends--how is this ok? I refuse to support this system with my dollars. Even when I lived in the city, I tried to purchase my eggs from people who either raised them in their backyard or local co-ops or farmers. It costs a little more (sometimes), but it's worth it. And honestly, if you can find a local neighbor who just wants to get rid of extra eggs, sometimes you can get these healthy eggs for as little as $2 a dozen! Way cheaper AND healthier than the commercial eggs in the store. With approximately only 1 in 30,000 eggs harboring any salmonella, raw eggs are most likely ok to eat---if you can stomach them. Back to the issue of salmonella. Since this is the biggest danger I could find in my research about consuming raw eggs, let's discuss this bacteria for a moment. What does salmonella do to our bodies? Well, salmonella causes food poisoning. Some people don't have symptoms, while others do. The elderly, immune-compromised, and children are the people who are most at risk. Back in 2010, there were 82 deaths attributed to salmonella, and they were not all from eggs. You can see that with 1 in 30,000 eggs being contaminated with salmonella, the risk is quite small. So, Can You Kill Salmonella on an Egg? There are two simple things you can do in your home if you are truly concerned about salmonella bacteria. You can actually buy pasteurized eggs in the stores, and this may be a good idea, especially for the high risk groups I mentioned above. OR, you can pasteurize raw eggs yourself. Simply hold the egg under 140* F water for four minutes, and the bacteria will not survive. Another source I researched mentioned 150* water, but it seems 140* was the more common number I found. **NOTE: I have never pasteurized eggs before in my home, as I don't feel the need. I am simply passing along information I have heard from others or read about. So, you should probably do some additional research on this. Same with #2 coming right up. Vinegar is just an incredible substance! It will kill bacteria and has some disinfectant properties. In fact, it's what I use for cleaning all the time. Egg yolks will vary in color, but you can be assured the deeper yellows and oranges you'll find with backyard chicken eggs or eggs from your local co-op, CSA, or farmer will be much healthier and better for you--not to mention tastier. Buy the best eggs you can. Try to find organic eggs or eggs from pasture-raised chickens. Wash your eggs in cool water before cracking them. Do not use eggs that are cracked. Use them within 2-3 weeks if using them raw. Otherwise you can freeze your eggs. What are the Benefits of Eating Raw Eggs? An egg has around 70 calories--not bad for such a nutritional powerhouse, right? There are usually around 6 grams of protein in an egg, and just 5 grams of fat. Eggs contain high levels of Vitamin A, V-B2, V-B5, and V-B12, Selenium, Phosphorous, and Folate, among other good things. So to answer the question, are raw eggs better than cooked eggs? Well, eating them raw does happen to be better for the tummies of those who are sensitive to eating eggs. Some people have no trouble eating them raw, even if eating cooked eggs causes them digestive upset. Unfortunately, your body is able to absorb more of the good proteins (containing 9 amino acids) in an egg that has been cooked than in a raw egg. Therefore, even though raw eggs are actually more digestible, they are not quite as nutritious because of how our body processes them. Whether or not you choose to eat raw eggs is obviously up to you. I hope this article helped you make that decision! I hope all this was helpful to you! I know it was for me, as I decide whether or not to go the raw-egg-route in our morning smoothies. Honestly, I don't really have a fear of any kind of food poisoning because I know where and how are eggs (and hens) are treated. However, I DO have a problem with the gooey-ness and sliminess of raw eggs. That's my personal problem, though. lol I'll probably end up giving eating raw eggs in a smoothie the good old college try! If you want to ask me how it goes in a few days, I'll let you know! Just leave a comment, and I'll get back to you! 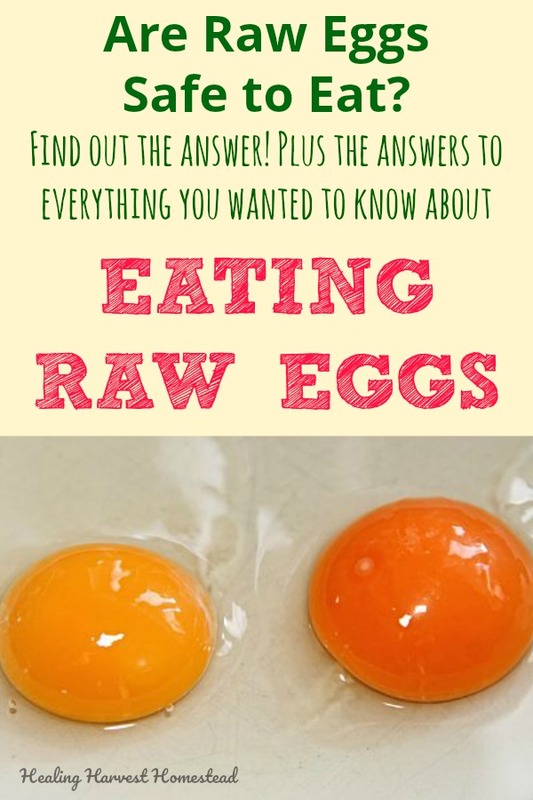 Do you use raw eggs in any foods? Do you have concerns? Or are you ok with it? I'd love to know! Leave those comments! Yes! I want the Newsletter & Free eBooks, Too! Chickens Magazine, November/December Issue 2017. pg. 40.